On the occasion of the World Water Day on 22 March, Erste Asset Management (Erste AM) published its second water footprint for its sustainable equity funds. “We set an important milestone by publishing water risks last year in order to induce companies to release their own water data. Data coverage has improved significantly since then for this year’s model,” says Walter Hatak, Senior ESG Analyst with Erste Asset Management. Whereas in 2017 46.8% of companies published their calculations, in 2018 the number had increased to 56%. 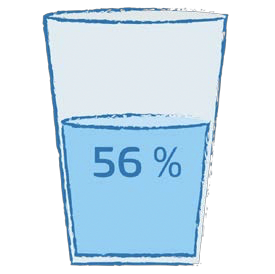 The shift to a sustainable use of water is important: drinking water – i.e. a basis of existence – is becoming increasingly scarce. Nowadays one in seven people lives in a region with scarce water resources. By 2025, this number may increase to 3.5mn people and thus affect almost half the world’s population. The World Economic Forum therefore regards a potential global water crisis as fourth-biggest economic risk in the coming years (N.B. which means it considers inflation and deflation risks far less relevant). “A water shortage can come with various implications such as stricter regulation of water consumption, massive price increases, production delays, or even the closing-down of production facilities. Therefore, it seems necessary to assess water risk from an economic perspective,” as Walter Hatak points out. In contrast to the CO2 footprint, the regional component provides very important additional information about the water footprint. Companies whose production facilities are located in regions with high water stress levels are subject to high water risk, even if water consumption is average by industry standards. “It does of course make a difference whether the production facility is based in Cape Town, where the complete shutdown of water supply was avoided in the eleventh hour last year, or close to the Alps, which are not by accident referred to as Europe’s water castle,” explains Walter Hatak. The breakdown in low, medium, and high stress regions is based on the risk assessment of the world Resource Institute, which takes into account physical, regulatory, and reputation risks. The world map based on these criteria that illustrates the different risk regions can be accessed online. The selection of companies in the sustainable funds of Erste Asset Management aims, among other goals, at inducing a more responsible use of water. This strategy has proven successful: sustainable funds significantly outperform the global equity market (both overall and when allowing for regional risk data), and they have clearly improved on last year’s performance. “This is due to our comprehensive ESG analysis. In order to reduce water risks, the sustainability analysts of Erste AM take into account the management and the regional distribution of water consumption in the assessment and valuation of companies,” explains Walter Hatak. To what extent a company operates in risky regions with scarce water resources and depends on high local water consumption enters into the ESG rating model, as does the information on what measures have been taken to improve water consumption and make it more sustainable overall. The key ratio illustrating the average water intensity of the companies held by the funds is the water consumption of the respective companies. Water intensity measures water consumption in cubic metres per USD 1mn worth of sales.